Located in Willimantic, CT,�Eastern Connecticut State University (ECSU)�is one of the�State of Connecticut�institutions of higher learning and the state’s designated public liberal arts university.��Our mission is to provide high quality undergraduate and select graduate programs to a diverse population of talented students.� We have a�vacancy for a Secretary 2 position�in the Communications Department.� This�1st shift position operates Monday through Friday,�8am-5pm. 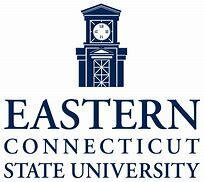 Located in Willimantic, CT, Eastern Connecticut State University (ECSU) is one of the State of Connecticut institutions of higher learning and the state’s designated public liberal arts university. Our mission is to provide high quality undergraduate and select graduate programs to a diverse population of talented students. We have a vacancy for a Secretary 2 position in the Communications Department. This 1st shift position operates Monday through Friday, 8am-5pm. Should you have questions pertaining to any phase of this recruitment, please contact the hiring agency's human resources office: LaShawn McBride, HR-Recruitment@easternct.edu, (860) 465-5220.